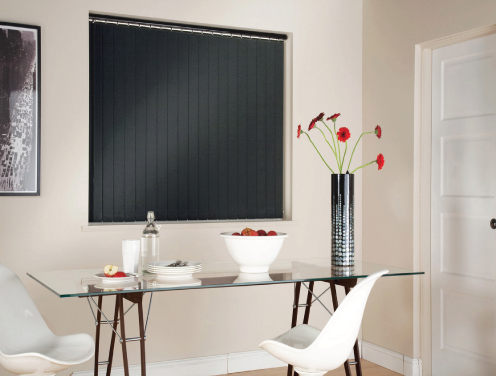 Our Vertical Blinds are both modern and practical, giving any room a look of sophistication and style. 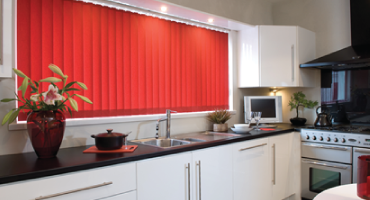 We offer a good range of Antimicrobial blinds which can be used in the home, school and even hospitals, to help reduce the spread of micro-organisms. 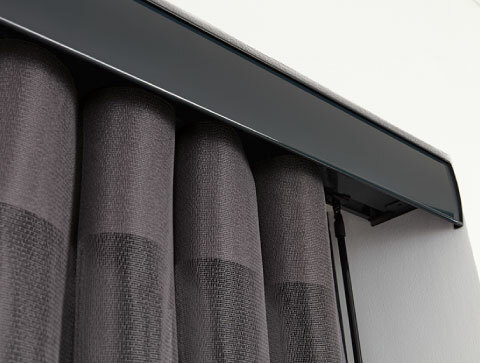 Our Ultrasonically Sealed Bottom Pockets are a great choice for the family home because these blinds don't contain any visible weights or low level chains. If you prefer a more contemporary style then why not take a look at our Classic collection where you will find a choice of fabrics and colours to suit your room. 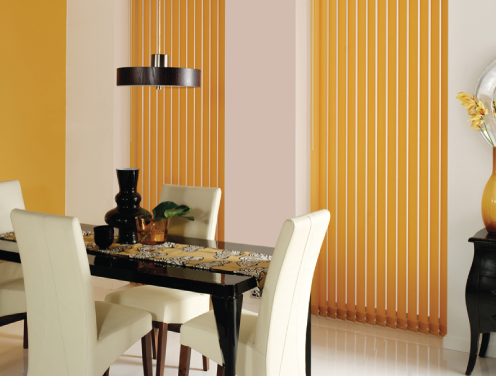 All of our vertical blinds can be rotated 180 degrees to allow you complete control of the light levels and shade in your room. 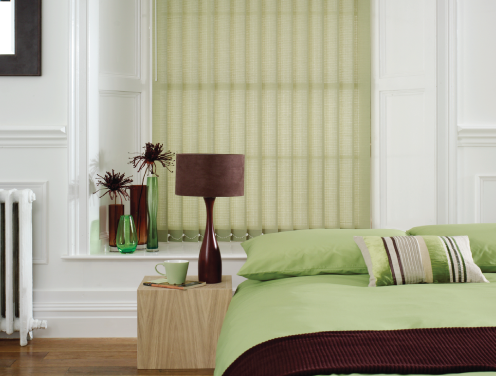 We offer a great range of vertical blind fabrics from plain, textured and patterned in louvre widths of 89mm and 127mm. 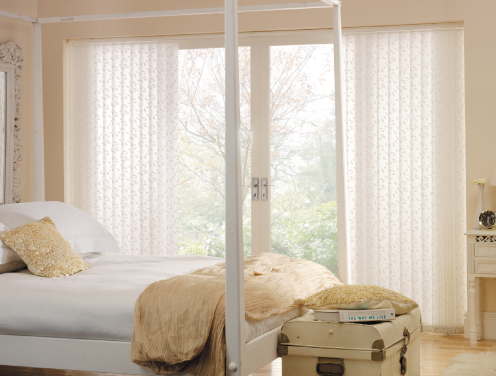 Antimicrobial vertical blinds use Silver Technology to prevent the growth of bacteria, which makes them great for around the home, schools and hospitals. The fabrics combine safe, natural inorganic silver components, which have been used throughout history to combat bacterial growth. They are easily cleaned without the need of chemical cleaning products. 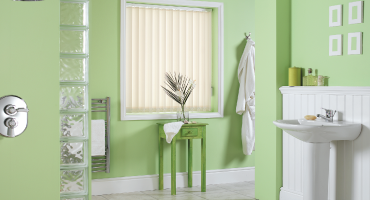 Our range of sealed bottom pocket blinds are safe, sealed and secure because there are no chains or visible weights. This makes them great for around the family home. We have a great choice of fabrics, so whether it be plain, textured or patterned you are looking for, we're sure you'll find something. 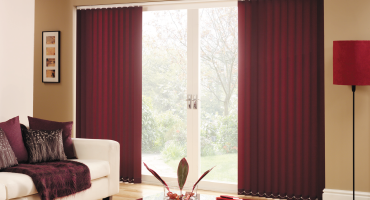 We have a great collection of classical fabrics within our vertical blinds range. 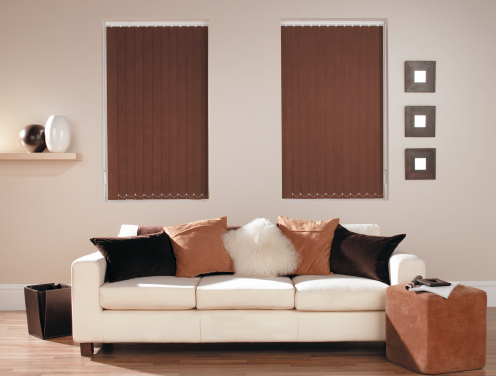 All available in 89mm and 127mm louvre sizes. They can be rotated 180 degrees allowing you control of light levels in your room, whilst maintaining privacy. 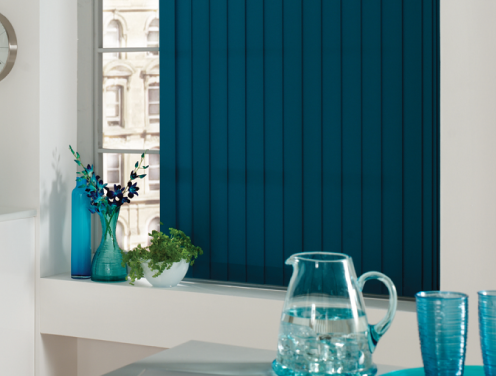 At North Notts Blinds you'll find a great choice of vertical blinds with fabrics, patterns and colours to suit any room.